High-performance sport or child abuse? Centuries before Nadia Comaneci stunned the world by notching seven perfect scores at the 1976 Montreal Games, talented men and women entertained the rulers of Ancient Egypt and Rome with acrobatic dance routines. Female acrobats performed with troupes in the Middle Ages. By the late 1800s, they were performing at dance halls and in circuses throughout the West. Though these women were acrobatic, they weren't considered athletes. Women didn't get involved with artistic gymnastics, the sport, until the late 1800s when it was considered a healthy activity for both sexes. Female gymnasts first competed in the Olympics in 1928, 32 years after their male counterparts. The Soviet Union fast became a world power in women's gymnastics. The first Soviet superstar was Larissa Latynina. She began her career by succeeding Hungary's Agnes Keleti as the reigning queen of gymnastics in 1956. Between 1956 and 1964, the Ukrainian-born Latynina won 18 Olympic medals, including nine gold, more than any other athlete in history. Nonetheless, a one-time figure skater from Czechoslovakia would soon eclipse the Soviet superstar. Vera Caslavska won 11 medals over three Olympics (1960, 1964, 1968), including seven gold. Months before the 1968 Mexico City Games, Caslavska signed a public declaration opposing the Soviet invasion in Czechoslovakia to quell the popular uprising known as "Prague Spring." When Soviet tanks rolled into Prague, she went into hiding. Caslavska trained in a meadow for the 1968 Mexico Games, where she won four of her medals. Despite the success of these athletes, gymnastics didn't catch on in Western Europe and North America, where the sport remained somewhat marginal. That was until the arrival of an elfin competitor from the Soviet Union. At the 1972 Munich Games, Olga Korbut impressed audiences with her dazzling skills and endeared herself to them by bursting into tears following a poor performance in the all-around competition. Millions of television viewers and spectators started rooting for the "Munchkin of Munich," and celebrated as she won three golds and a silver. One of her biggest fans was U.S. President Richard Nixon, who credited the gymnast with helping to ease Cold War tensions. Following those Games, sales of balance beams, uneven parallel bars and tumbling mats increased by more than 50 per cent in the U.S. alone. The number of American girls involved in high school gymnastics doubled to 35,000. Korbut won a gold and a silver at the 1976 Montreal Games, but another waif overshadowed her. Romania's Nadia Comaneci, made a monumental contribution to women's gymnastics. She raised eyebrows by pulling off unprecedented acrobatic moves and set new standards for routines and for competitors' physique and age. Comaneci served notice at the 1975 European championships by defeating Russian Ludmilla Tourischeva, who had won there five times. 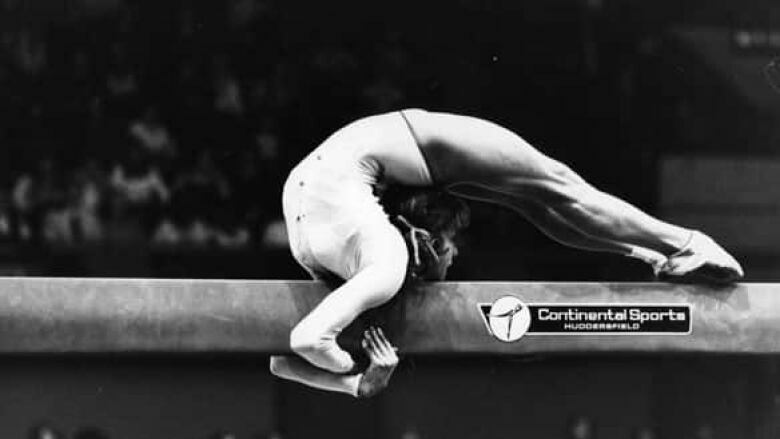 The following year, Comaneci became a household name. When she finished her routine on the uneven parallel bars at the Montreal Games, a 1.0 appeared on the scoreboard. Comaneci had scored a perfect 10.0, a mark the scoreboard was not designed to display. She recorded six more perfect scores and left the Games with three gold medals, a silver and a bronze. 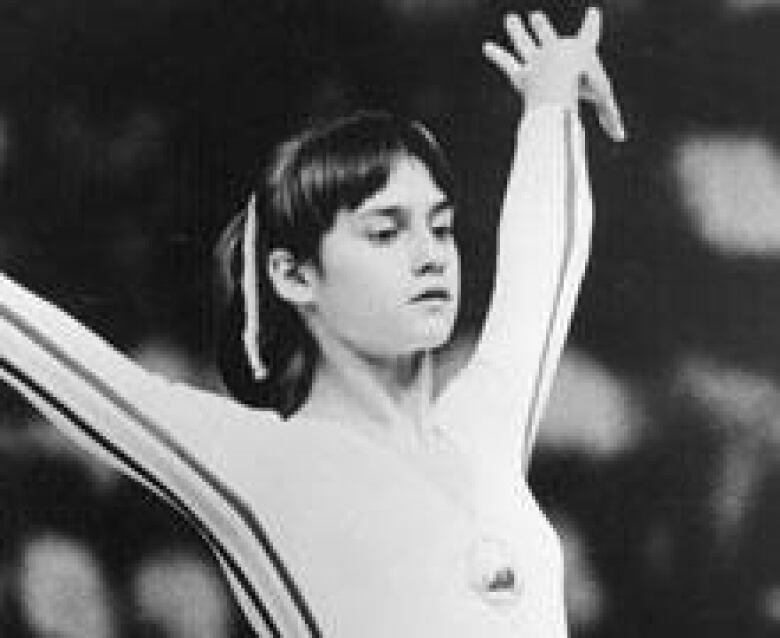 Four years later, a fully grown Comaneci won two gold and two silver at the 1980 Moscow Games. Comaneci's youth (14) and diminutive size (4-foot-11, 86 pounds) at the Montreal Games accelerated a trend that saw female gymnasts becoming smaller and younger. American women started winning medals in 1984, when their only Eastern European competition came from Romania, the only Soviet Bloc nation that didn't boycott the Los Angeles Games. Following the collapse of communism in Eastern Europe in the late 1980s and early 1990s, American gymnasts rose to more prominence. Coach Bela Karolyi, the man who had made Comaneci a champion, defected to the United States in the late 1980s and set up a training centre in Texas. There, he groomed several American champions starting with Mary Lou Retton. At the 1984 Los Angeles Games, she became the first American to win the individual all-around competition. She also won a silver medal and two bronze. Americans made their mark at the 1996 Atlanta Games, where Shannon Miller won gold on the balance beam, Amy Chow took silver on the uneven parallel bars and Dominique Dawes took home bronze in the floor exercise. But it was little known Kerri Strug who stole the show. She tore the ligaments in her ankle on her first vault in the team competition. But she overcame the pain to execute a solid second vault, complete with a two-foot landing, and the Americans won their first gold medal in team competition. Little did they know at the time Strug's second vault was unnecessary because victory had already been sewn-up. Regardless, the image of Karolyi carrying Strug, with her bandaged limb, to the medal podium made a wonderful Kodak moment. It also intensified the debate about the perils of competitive gymnastics for young girls. In recent years, critics have complained that top gymnasts are too young and vulnerable, physically and emotionally, to contend with the sport's exacting standards. Critics have also cited studies claiming that rigorous training delays the onset of puberty. In response, the International Gymnastics Federation (FIG) recently raised the age at which gymnasts can start competing internationally to 16 years old. Gymnasts are now older and are staying competitive longer. Russia's Svetlana Khorkina, for example, won gold at the 2000 European championships at the ripe old age of 21. Also that year, she picked up one gold and two silvers at the Sydney Games. She won a silver medal in the all-around competition at the 2004 Athens Games. Despite gains made by gymnasts from the United States and Asia in recent years, Eastern European women remain the dominant force in international competition. They won nine of the 24 medals handed out in women’s gymnastics events at the Athens Games. Romanian women stood out, winning six medals there. 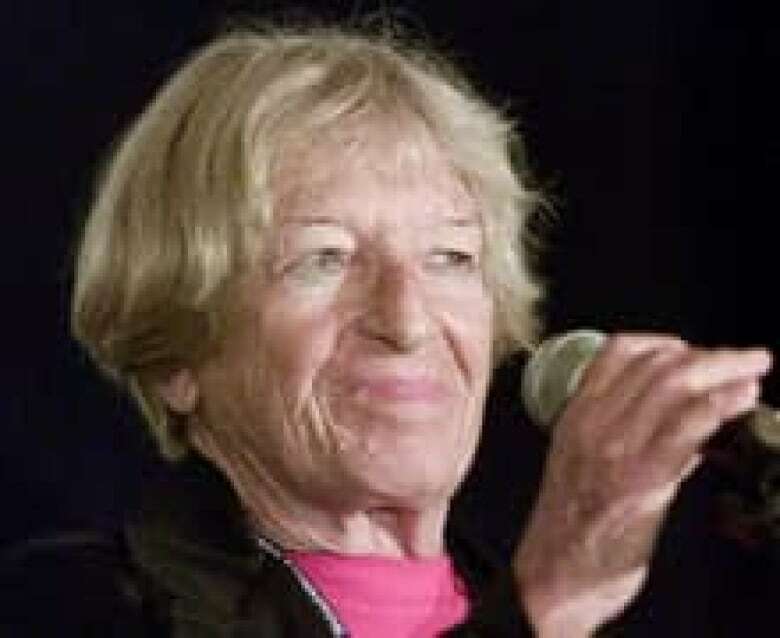 Agnes Keleti, seen here in 2001, refused to return to her native Hungary after the 1956 Melbourne Games. ((Jamie Squire/ALLSPORT))Hungarian Agnes Keleti had her best Olympics at the age of 35, finding success after years of disappointment. She qualified for the 1940 Olympics when she was 19, but those Games were cancelled when the Second World War broke out. A Jewish athlete, Keleti survived the war with the help of forged identity papers. She started training after the war, but suffered an ankle injury and missed the 1948 London Games. Keleti finally made her Olympic debut at the 1952 Helsinki Games, where she won a gold medal, a silver and a bronze. At the 1956 Melbourne Games, Keleti squared off against Soviet Larissa Latynina and won three gold medals and two silver. It was one of several dramatic confrontations between Soviet and Hungarian athletes in Melbourne; just before the Games, Soviet troops quashed a democratic movement in Hungary. After the Games, Keleti was one of 45 Hungarian athletes who refused to return home to a country under the heel of the Soviets. She received political asylum in Australia and later moved to Israel.